Instagram is becoming a bit like… Google! You know how on Google you type something and then you see all the search results on your screen? The websites on the first page are not here by chance. There are using some tricks to get on the first page. They are using “SEO” = “Search Engine Optimisation”. It sounds complicated but it’s simple: they use tricks to “optimise” their website. The cool thing is that now you can optimise your Instagram account too. 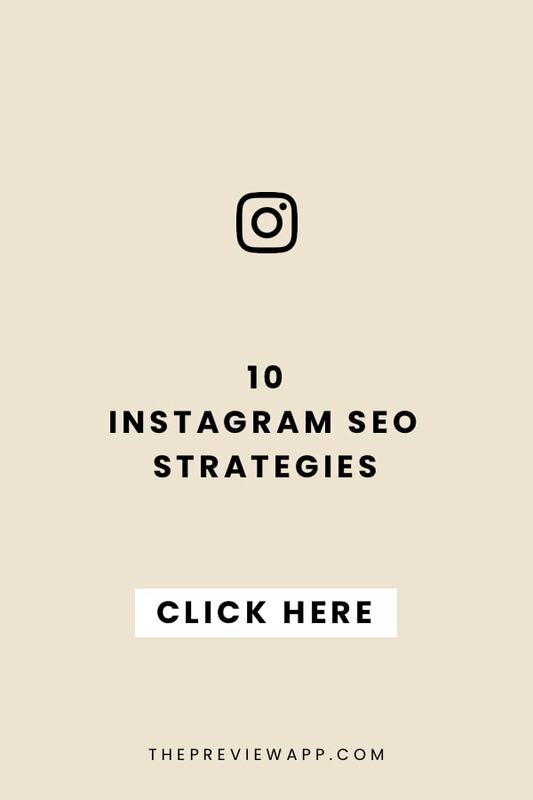 Well, say hello to Instagram SEO! Now, people can find your Instagram account if they are looking for something on Google. How crazy / amazing is that? 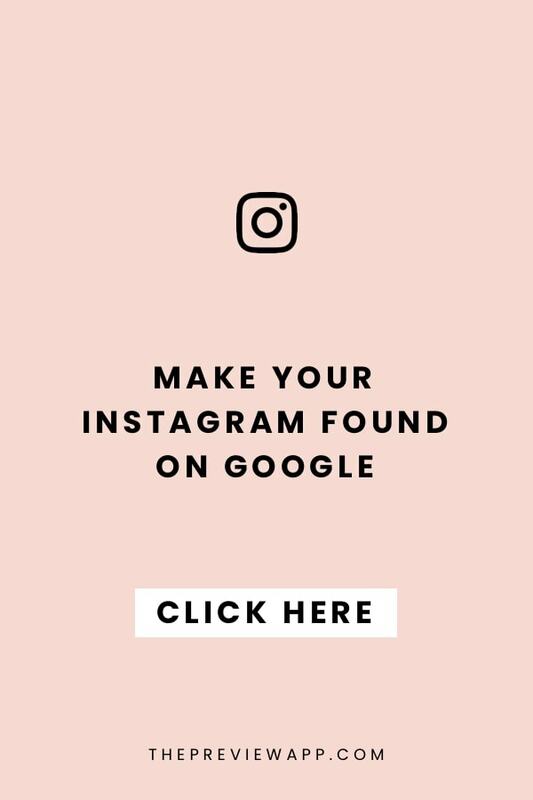 Let’s look at how you can grow your Instagram account organically. There are 10 tricks you can use. I’m going to keep things super simple so you can implement these 10 things, right away. 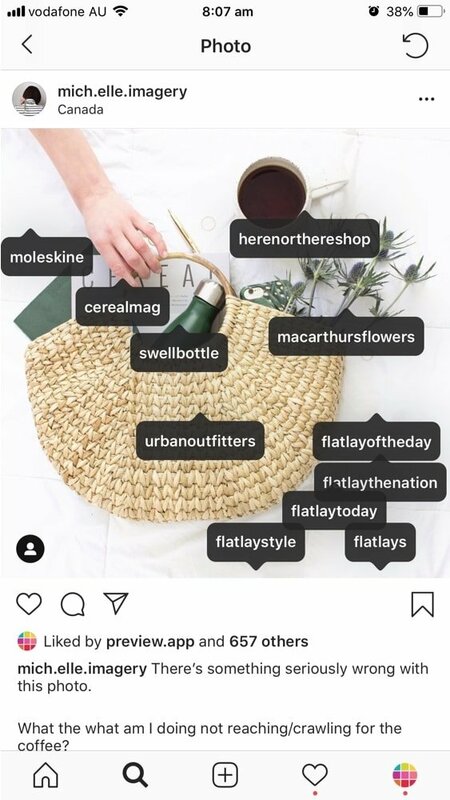 Did you know that the words in your Instagram username are searchable? Your username acts like an important “keyword”. Can you see? 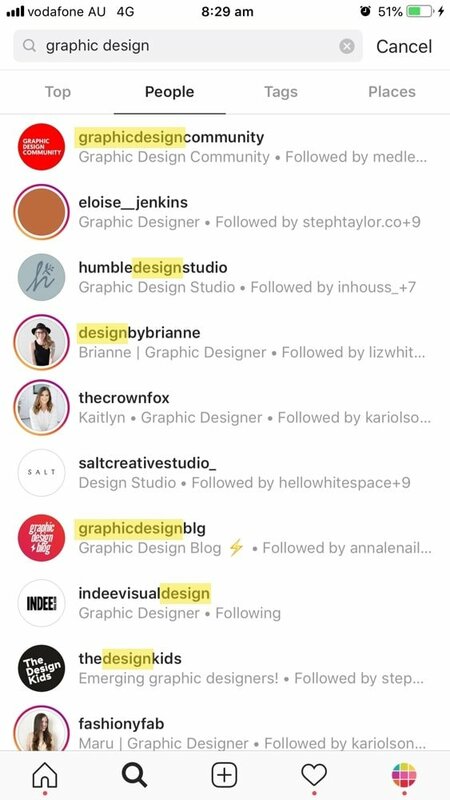 People who have the the words “graphic” and “design” appear in the search results. In case you’re wondering, your Instagram username is what you write after the “@”. 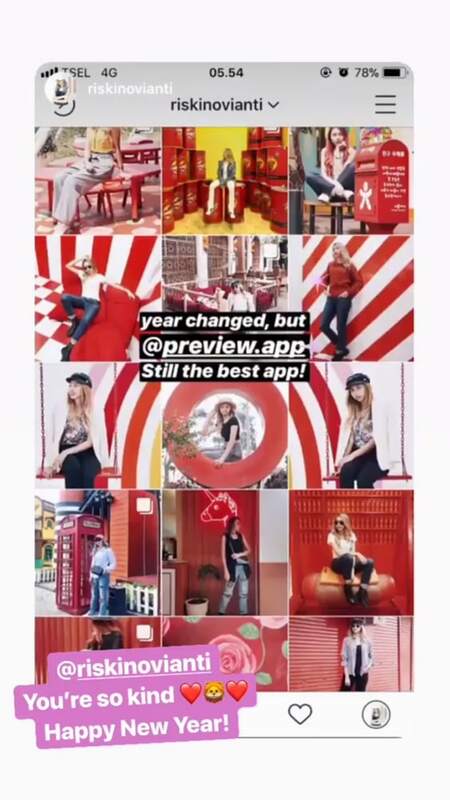 For example, @preview.app. If you can, try to add your specialty / industry / passion / location in your username. Think about what people would type on Instagram if they wanted to find an account like yours. If you can’t (or don’t want to) change your Instagram username, that’s totally fine. For example, you might want to grow your brand around your first and last name. That’s totally fine. Or your Instagram username is the name of your business. Totally fine too. You can optimise something else: your Instagram name. Your Instagram name is searchable on Instagram too. Each word in your name acts as an important keyword. 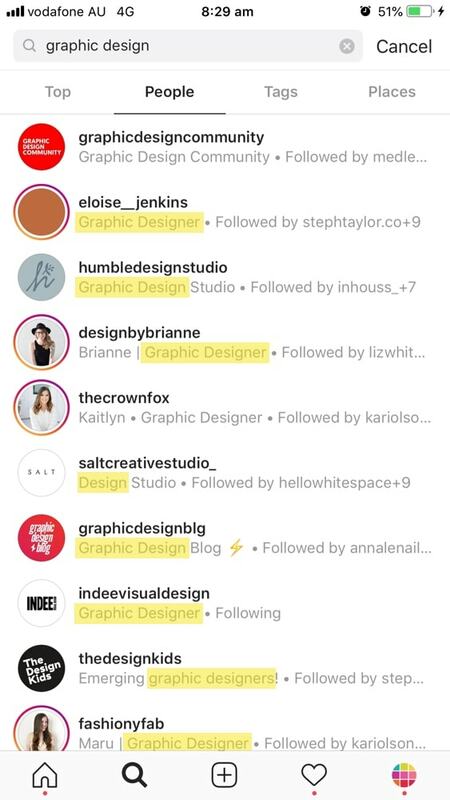 People who use the words “graphic”, “design” and “graphic designer” in their Instagram name show up in the search results. 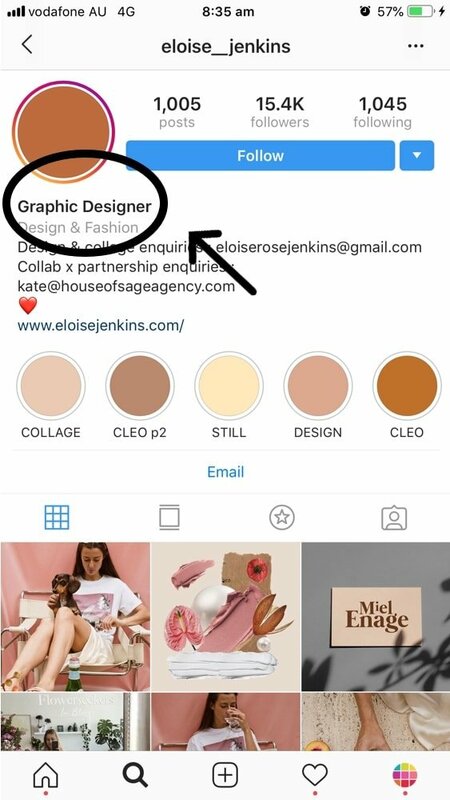 Try to use important keywords related to your business/brand in your Instagram name. Write something that your ideal audience would use to find you. Instagram is a visual platform. So your growth will inevitably come from your photos. It should be easy to see what is on your photo: is it a face? A car? A dog? A flower? A book? A quote? A landscape? Keep your photos clean and good quality. It doesn’t mean you can’t be creative anymore. Just make sure it is easy to see what your main subject is, on most of your photos. Instagram is using a technology called “image recognition”. This means that this technology can “scan” your photo to figure out what’s on it. 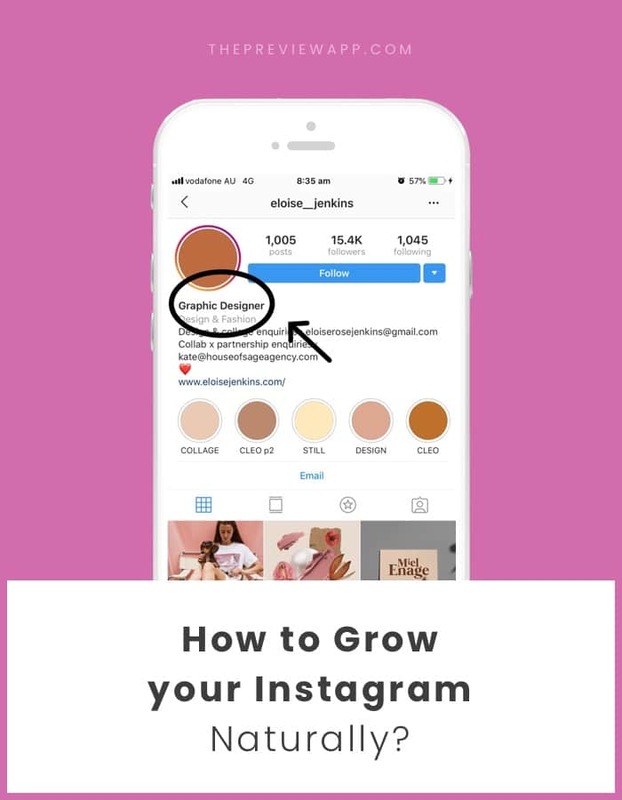 The amazing thing about this technology is that it can help you grow your Instagram account naturally by showing your photos to people who already love your kind of content, but haven’t seen your account yet. How awesome is that? 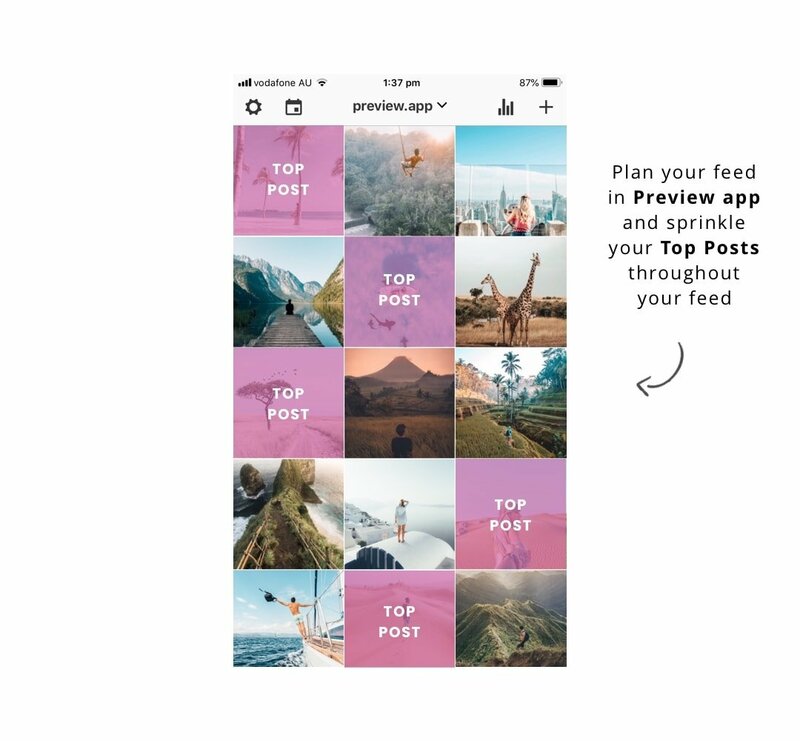 Without you doing anything, Instagram is trying to help you connect with people who will care about your content. All you need to do is keep your photos clear, simple, good quality. This way the technology will work in your favor. 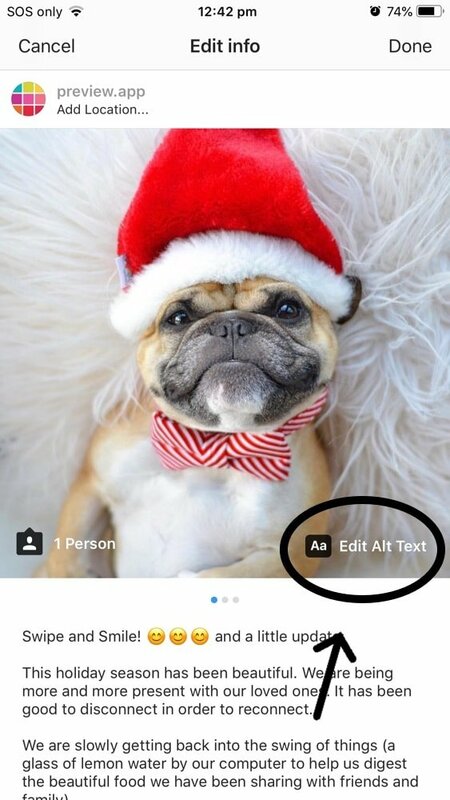 Talking about photos, you can now write your own ALT text for your Instagram photos! ALT text is a huge SEO strategy on websites. And now it is on Instagram too! Thanks to ALT text, your Instagram photos can have a life outside of Instagram. They can appear in the search results of Google. For example, if someone is searching for a “funny dog Christmas photo”, and you posted a photo of your dog with a Christmas hat, your photo could appear on Google! Thanks to ALT text, you help the Instagram algorithm work for you, and not against you. And thank to ALT text, people with visual impairments can “see” your photos. Can you see how awesome it is? I 1,000% recommend you use ALT text as often as you can. This is a new Instagram feature that not many people are using yet. So you will be ahead of the crowd if you are using it now. Check this blog post on how to use ALT text. People can search for a hashtag on Instagram to find you. And Instagram checks what hashtags you are using to show your posts to people who like the same things as you. Use Instagram hashtags wisely. You can use up to 30 hashtags per post. Save your favorite hashtag groups to save time. Check out the Hashtag Finder if you’re not sure what hashtags to use. Top Posts are posts people love seeing from you. They are the posts that resulted in the most likes, comments or engagement. Top Posts are quality posts. Think about it: If there are some posts that people love on your account, why not post more of these kind of posts? 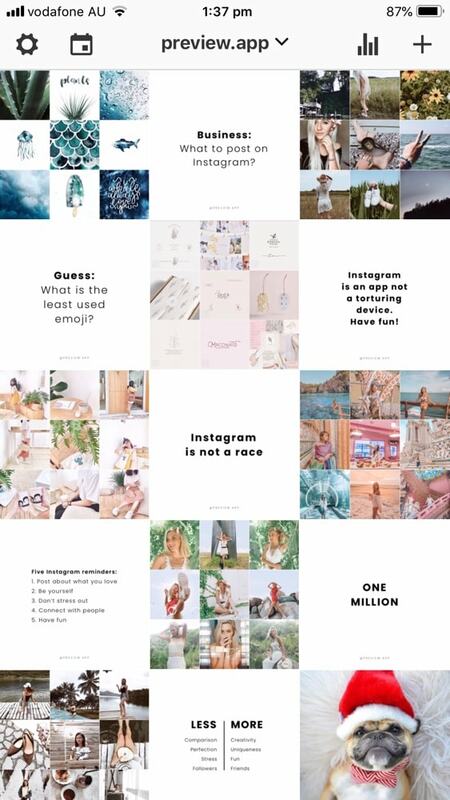 It will boost your Instagram account and make your followers super happy! Keep riding that Top-Post Wave! 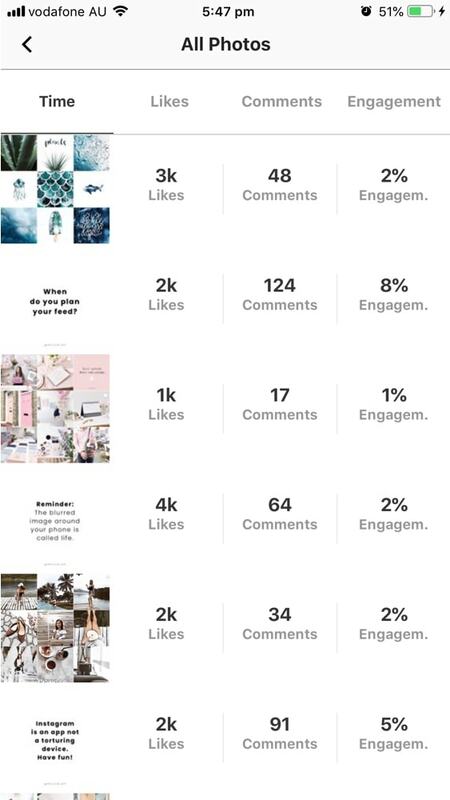 Here, you can check what photos got you the most likes, comments and engagement. This will give you an idea of what your Top Posts are and what kind of content you should post more of. Let’s say photos of sunset have been super popular on your account, try to post more photos of sunset. 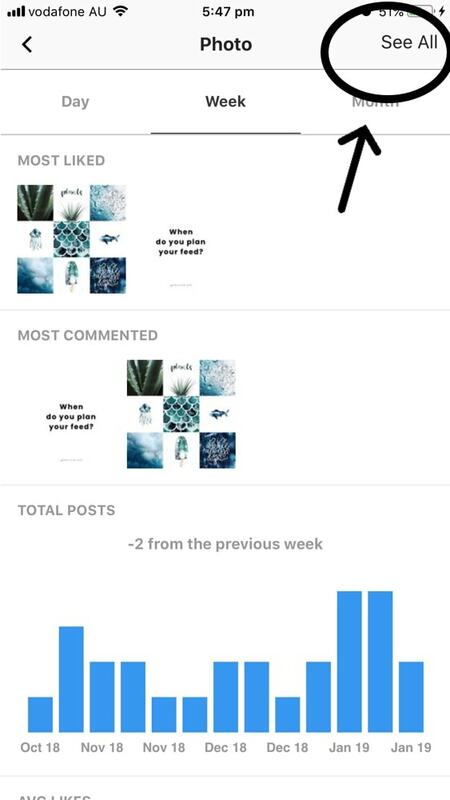 What can you do once you know what your top posts are? Spend a few minutes a day liking and commenting on other people’s posts. “What shows up in your feed is determined by what posts and accounts you interact with the most”. If you want to grow your account, you need to interact with people. Find key accounts in your industry and tag them on your photos for a chance to be noticed and featured on their accounts. You can tag up to 20 accounts on a photo. Don’t go crazy. Tag them on posts you think they will like. Or tag accounts that you want be featured on. 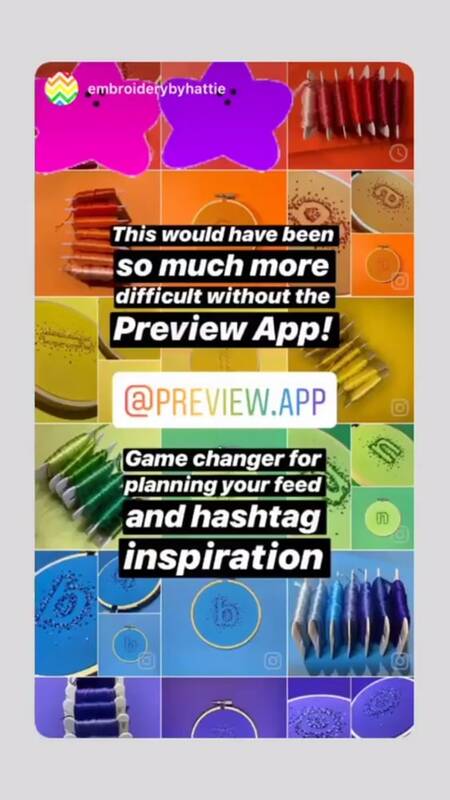 For example, a lot of you tag us @preview.app on your photos so we can come check out your creations. We check your account and save it so we can feature you on our feed. 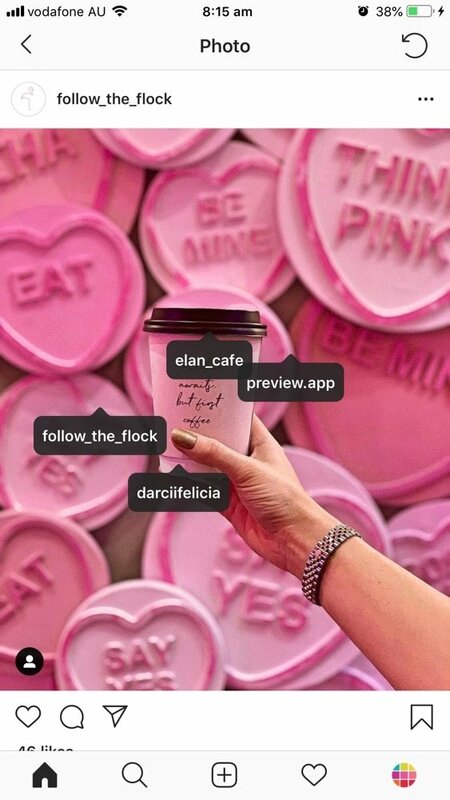 When we feature you, we tag you on the photo and in the caption, which drives traffic to your Instagram account. Simple and awesome. My tip is to take some time to search for accounts who specialise in featuring people in specific industries. For example, there are Instagram pages dedicated to featuring women travel bloggers only. Like @dametraveler or @girlslovetravel. To search for accounts, just type keywords in your Instagram search bar. Depending on your niche/industry, it could take a bit of time to find them. Take your time. It will be worth it in the end. When you find awesome accounts, write them down in your Notes app. This way you will always have a list of awesome accounts ready when you need to tag them and post. One more thing: don’t despair if these accounts don’t feature you straight away. It can take time to be noticed. Or maybe they have already noticed you and saved your posts to be re-shared soon. Keep doing your thing. Also tag key people in your Insta Stories. Instagram has made it super easy to re-share Insta Stories. When you share an Insta Story that you think is relevant to someone else, tag that someone. For example, maybe you’re using a new product and you want to tag the company. The company will receive a notification that you mentioned them and might re-share your Story in their Story. 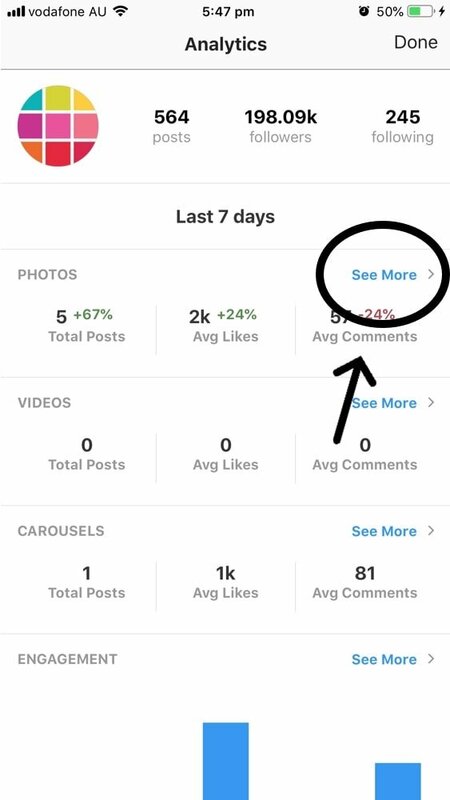 This means that people watching their Story will see you and can click on the Story to visit your page. Same as before, when you find awesome accounts, write them down in your Notes app. This way you can quickly look at your list when you need it. 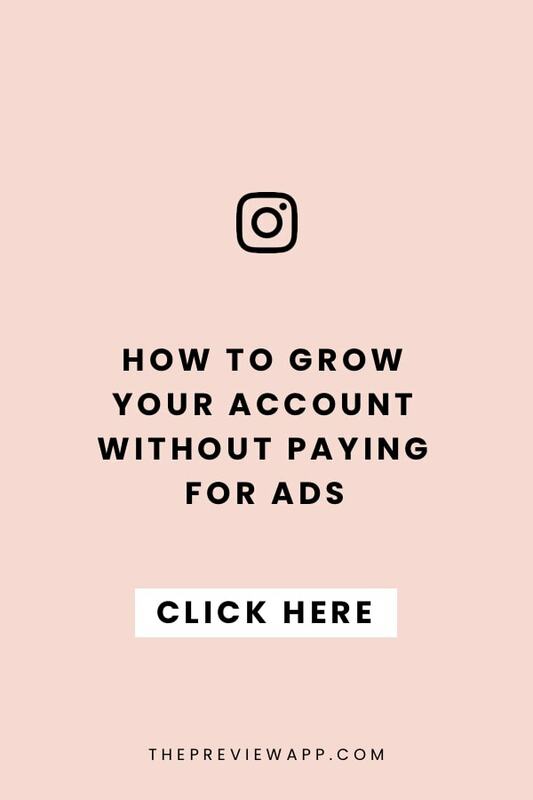 Your Instagram routine and mindset are the 2 most important ways to grow your Instagram account. The key to a happy, relaxing and successful Instagram experience is to find a routine that suits you and stick to it. Like I always say: “Don’t force Instagram into your life. Instead, fit Instagram into your life”. Choose when you want to be on Instagram. When do you have time to post? When do you have time to like and comment without feeling like you’re doing it “just because it’s the right thing to do to grow my account”? It shouldn’t feel like work. It shouldn’t feel forced. It should feel natural and fun. The more stressed you are, the more you will be resenting Instagram. The more fun you’re having, the more you’ll be growing your account naturally. Instagram will feel like an extension of you and your business, and not a weight you are carrying around. Your Instagram experience will change for the better. You can read about my Instagram routine here. I really hope you found these tricks useful. As always, take your time to implement these tricks. There’s no rush. One step at a time. If you know any other tricks, feel free to share them with everyone below. And until next time, see you on Instagram!